After recently legalising pot, officials now must pick the kind, who will grow it, the price and much more. Montevideo, Uruguay – Uruguay, about to become the first country in the world where the state will fully regulate production, sale and distribution of marijuana, will spend the next few months selecting a good quality strain of the crop that can be sold at a price similar to current illegal prices. Uruguayan President José Mujica signed law 19.172 on the regulation of marijuana on December 23. But it won’t go into effect until April, 120 days after it was approved by Congress and once the government has established specific regulations for the new legislation. A free market of marijuana or other drugs is not being created here. People will have access to marijuana by planting it themselves, in cannabis clubs, or from pharmacies, by presenting their ID card. Social organisations and activists are studying the best way to produce competitively priced high-quality marijuana, while involving small and medium Uruguayan producers and preventing foreign companies from taking over the activity. 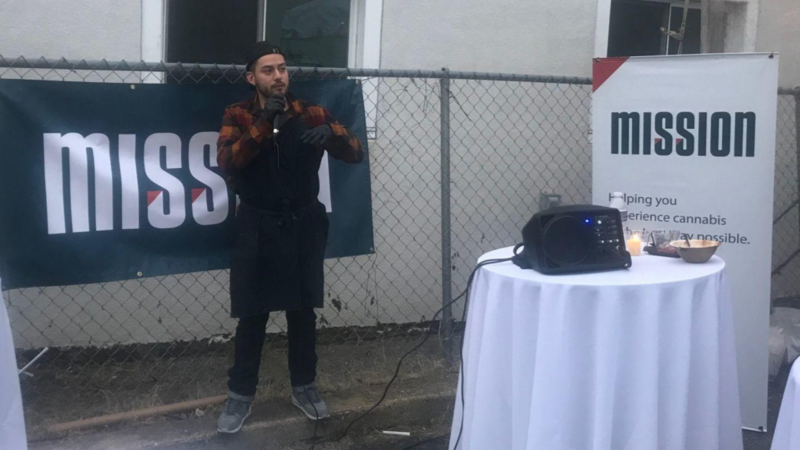 The aim of the law is to “put the availability of marijuana for users in the hands of, or under the control of, the state,” said Senator Roberto Conde of the left-wing governing Broad Front. Legal marijuana – up to 40 grams a month, or about 40 joints – will only be available to residents of Uruguay who have signed up for a federal registry. Individuals will be allowed to grow up to six plants, or 480 grams a year. The price of marijuana to be sold in authorised pharmacies has not yet been set. Collazo estimated the price per gram should be between $1 and $1.50 – the current cost of illegal cannabis. “There is a big comparative advantage in terms of quality, because illegal marijuana is very bad,” the activist said. But he warned it can’t be more expensive than on the illegal market, “because there would be a segment of the population that would continue to buy it on the black market”. The Drug Policy Research Centre based in Santa Monica, California said illegal production and sale of drugs is more expensive because of the high costs of security, transport and protection of merchandise. Collazo said he believes practice will show to what extent that is true. If marijuana has to be cheap, he said, the quality is likely to be inferior to what is sold in the Netherlands, where the drug is legally sold in special coffee shops. Collazo said the production of one tonne of good-quality marijuana could cost about $250,000 – between 0.25 and 0.30 cents per gram – “in a low-tech setting, with one or two harvests a year”. He said in the current clandestine market, the marijuana comes from Paraguay, and includes “leaves, stems, really bad quality flowers, and additives like ammonia”, which is put on the compact bricks to keep them from drying out in transportation. The aim, he said, “is to generate production schemes that can easily be followed by small and medium producers at a reasonable cost, and that will put marijuana on the market at a price similar to those on the black market”. 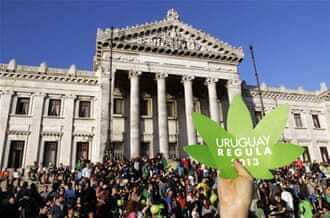 Eighty-five percent of users of illegal drugs in Uruguay only consume marijuana. Contact with the clandestine market facilitates access to other substances, like cocaine. Regarding the possibility of guaranteeing traceability of the drugs circulating in the new regulated market, Collazo suggested “trying to get growers who produce for the pharmacies to always plant the same strains”. But “other solutions would have to be studied for people who grow their own pot, and for the cannabis clubs, because those are much more difficult to control”, he added. Conde added whether or not the state will subsidise marijuana in any form “is being debated” in the government.